Baoji Sino-Swiss Titanium Co., Ltd. is committed to processing titanium as well as other metals and offering top-quality products globally. Our manufacturing facility is based in Baoji City – “Titanium Valley of China”. We have been serving domestic and foreign markets since 2000. Our team is comprised of up to 80 professionals, among which are 3 doctors, 6 postgrads, 20 academically trained engineers, and 40 technicians. We boast our vast experience in all activities related to titanium processing, including rolling, stamping, melting, and surface treatment. Baoji Sino-Swiss Titanium Co., Ltd. provides customers all over the world with titanium bolts, screws, nuts, flanges, precision parts, and other fasteners according to national and international specifications, including BSW, GB, UNF, UNC, and American standards. Among our clients are also original equipment manufacturers in petroleum, electroplating, chemical, pharmaceutical, aerospace, machinery, marine engineering, and automotive industries. Production capabilities of the company allow us to bring our products to the highest level of quality. 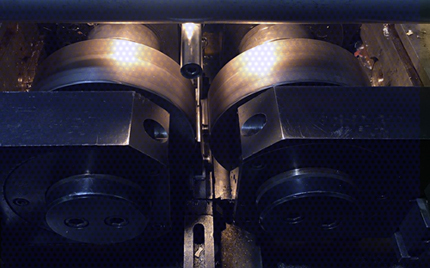 We take great pains to implement the most advanced technologies in the manufacturing process while expanding our range of equipment with the latest planning, punching, milling, boring, and CNC machines of different types. During the manufacturing process, we take advantage of various titanium alloys and commercially pure grades, including GR1, GR2, GR 3, GR4, GR5, GR7, GR9, GR12, and 23. If you need specialty parts which comply with ANSI/ASME, AS, BS, EN, DIN, IFI, Q, NF, or JIS standards, we are always ready to produce them once you provide us with all details and sketches. We are directly engaged in the pursuit of perfection while offering titanium parts for every application you need. Baoji Sino-Swiss Titanium Co., Ltd. has managed to implement the unique operating system that gets all procurement, manufacturing, quality control, delivery, and after-sales support issues under control. The next step we are going to take is the adoption of the ISO-oriented 9001:2000 management system. Superior quality according to the most exacting standards. Fair pricing for all products. We believe that effective partnership always comes first. Baoji Sino-Swiss Titanium Co., Ltd. is the company of your choice!